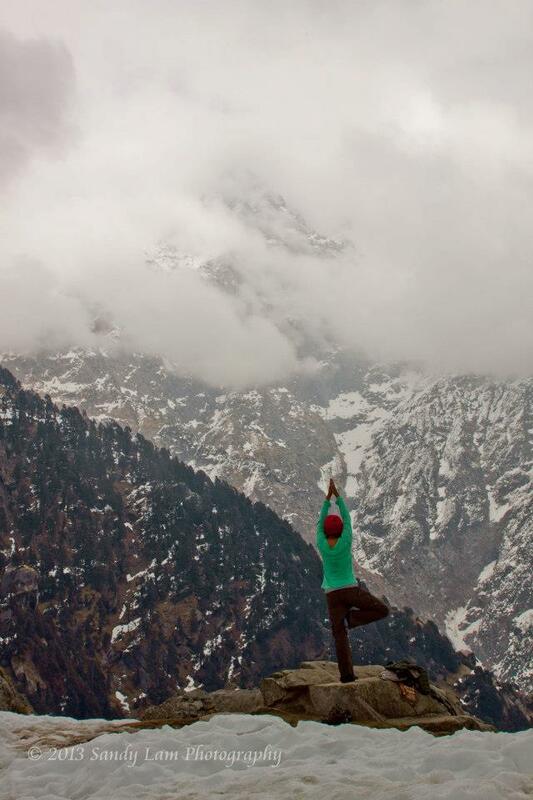 With all of the craziness I’ve experienced in India…I came to India with one thing in mind: Himalayas. 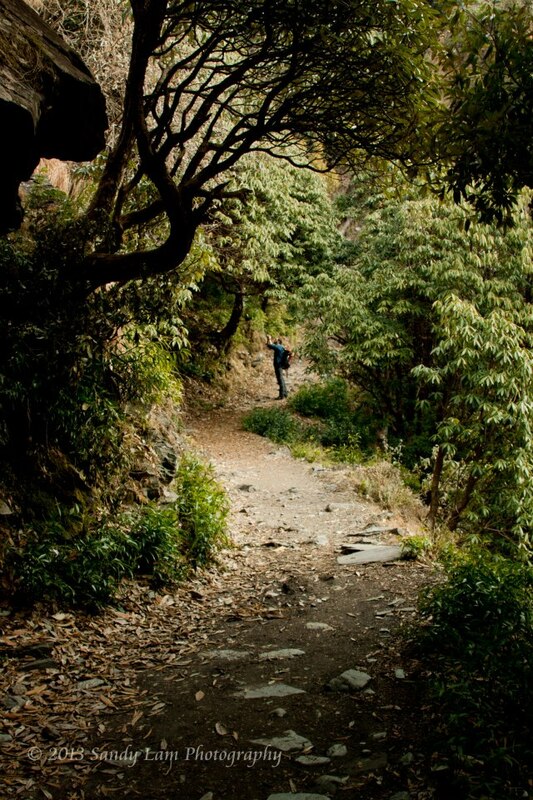 It is true that this time of year I would’ve been better off in Nepal, but at the time I wasn’t confident enough in myself to travel to an even more remote country alone. While my lovely new Aussie friends almost convinced me to go to Nepal with them, I decided to stick to my path in Northern India and save Nepal for another day. 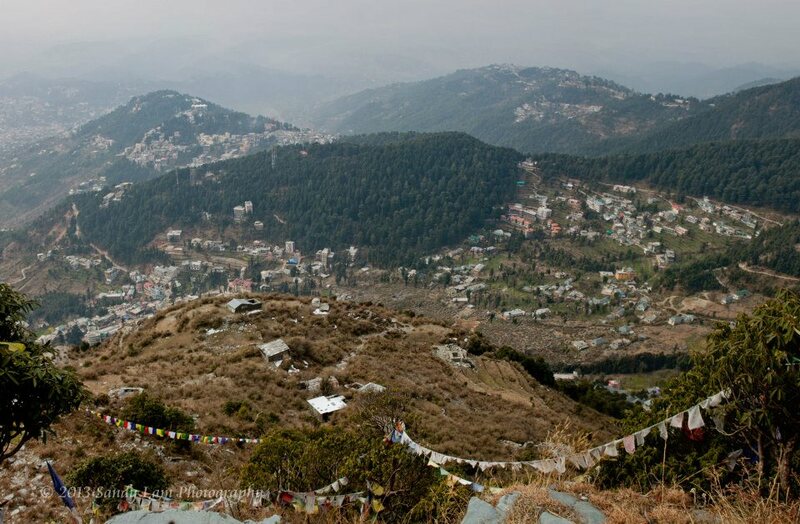 So to make up for it, I decided getting to McLeod Ganj and doing day hikes in the area would be a better choice for me. 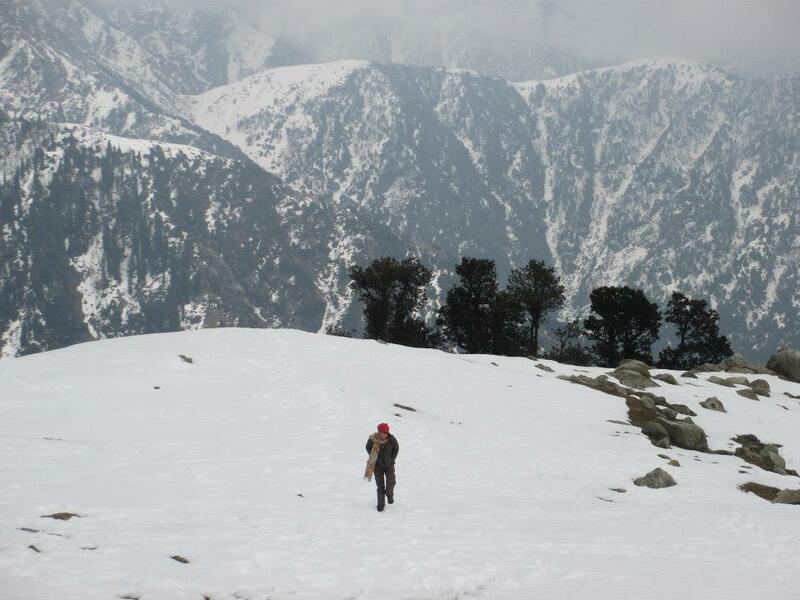 The forest service offers basic accommodation at the top of Triund, so you could trek up without any real camping gear and stay the night for 500 Rs (less than $10). I originally wanted to stay the night so I could do another day hike from there before heading back down, but unfortunately the guest house was closed for the season. After Simon left, I thought I would be left to make the trek alone, but in the end, the night before some new friends decided to join me for the ride. 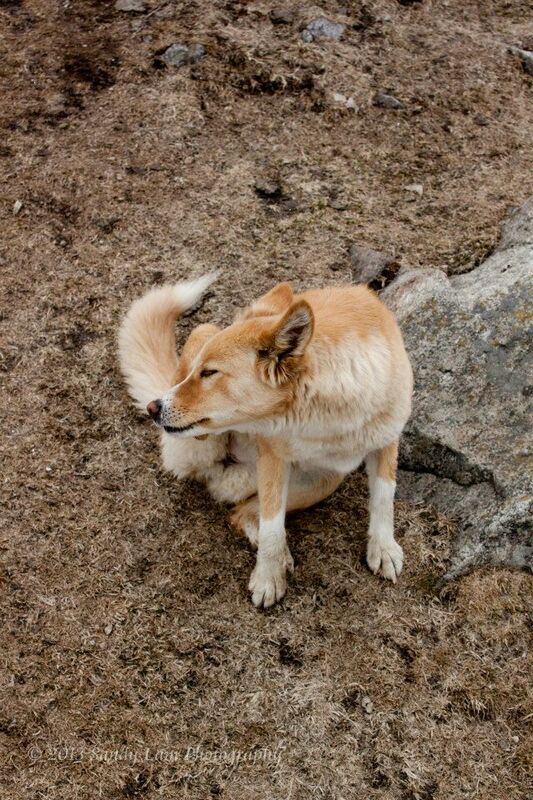 I was pretty nervous for the trek since it would be the highest I’ve ever been AND I was extremely out of shape. I was going to get a head start in the morning and let the guys catch up but Dan convinced me to take a rickshaw as far as we could (cutting 3 km off the 9 km one way journey) in the morning to save energy and time. I felt like I was cheating, but in the end I was really glad we did. 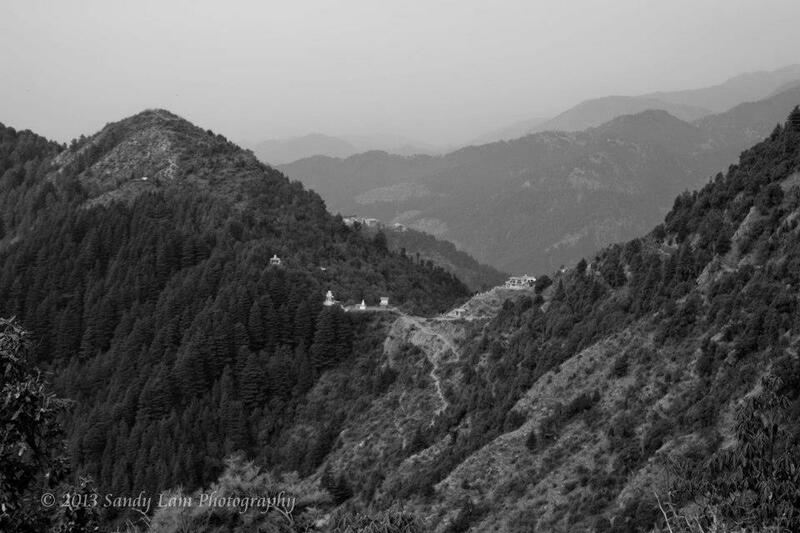 The first 3 km from McLeod Ganj is just a chunky dirt road, which would’ve bored and exhausted me. So you can start your journey from Gallu Temple up past Dharmakot (taxi from McLeod Ganj was 350 Rs one way (totally worth it if you want a more “normal” day hike instead of a long one 12 km roundtrip). The trail is wide, nicely marked and easy if you’re in shape. However I’m not. So I huffed and puffed along as poor Dan had to keep waiting, but as usual, the view was worth it. Several chai houses dotted the trail for those looking for a short rest. Streams of prayer flags hung on trees just off the trail, which made for a beautiful sight. The contrast of the “new” ones next to the streams that were tattered and faded gave me a different sense of peace being out in nature. Towards the top, it started to snow pretty heavily and we found ourselves trekking through several inches of snow from the snowfall a couple weeks previous. 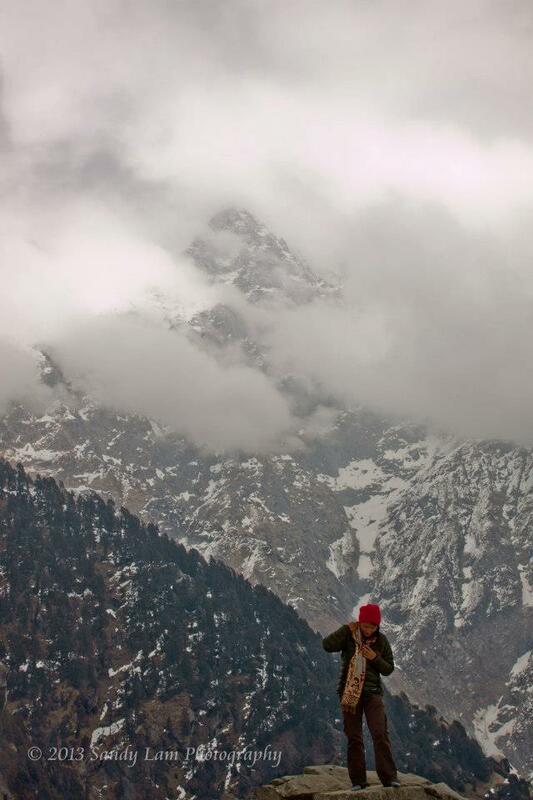 When we finally arrived, Dhauladhar (the big Himalayan mountain you see in all the previous McLeod Ganj photos) was pretty sucked in by the clouds, however after we grabbed some chai to warm up, the clouds gave us some small way just long enough to snap some photos. When I realized we had arrived I remember just running through the snow slipping around, ecstatic to be there. Thanks Gil for this photo! The strange part for me, was that even though this was the highest I’ve ever been on a mountain (9,342 feet), it didn’t feel any different from any of the other hikes, minus I was out of breath (but I blame that on being out of shape rather than altitude). And it was incredible for me to think, Mt. Adams is just a little higher than this, and yet we were surrounding by peaks that are even higher! 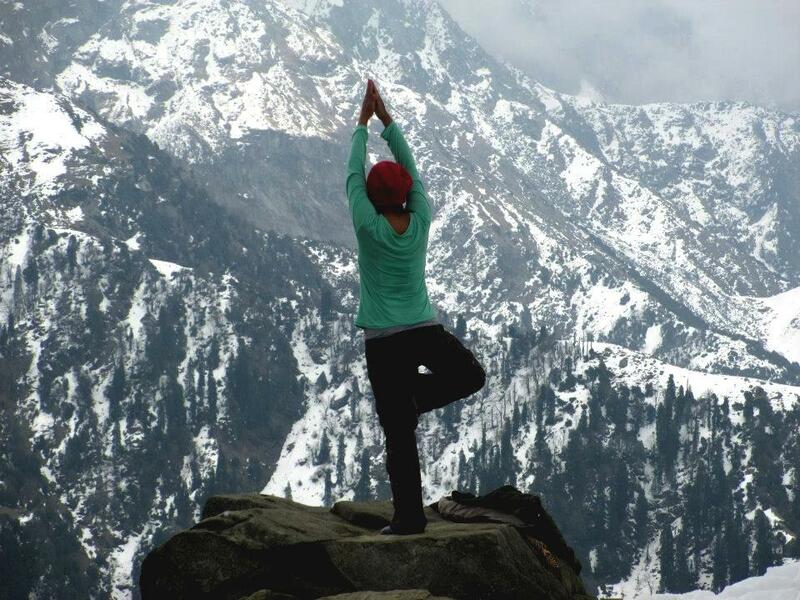 The big peak, Dhauladhar stands at around 18,500 feet. INSANE. It’s TWICE as high as the one I just climbed. I guess that’s why they call it a hill. Because it really is just a hill compared to the rest of the Himalayas. After a chat with one of the chai house owners, I was even more relieved to hear that we came during the low season. 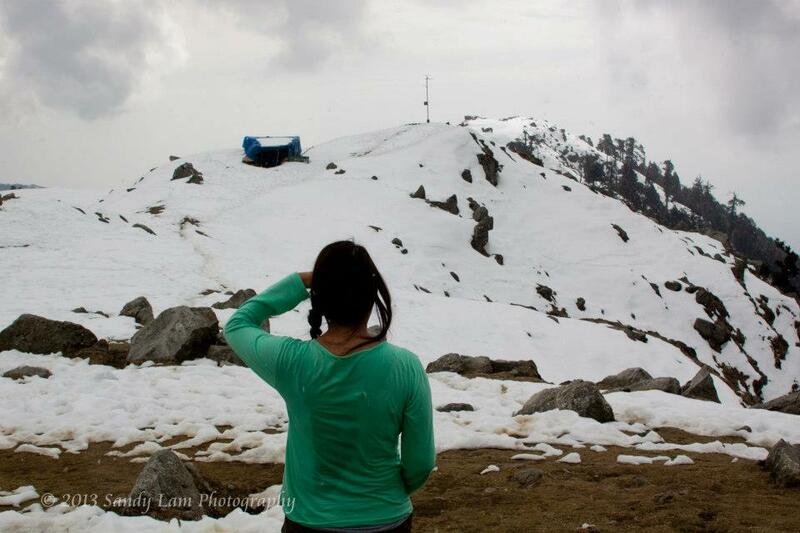 In the high season (spring and summer) there can be anywhere between 70-100 people camping at the top of Triund. This blew my mind. I can’t imagine being on a mountain with that many people. Defeats the purpose of going up into the mountains right? Getting away from everyone? 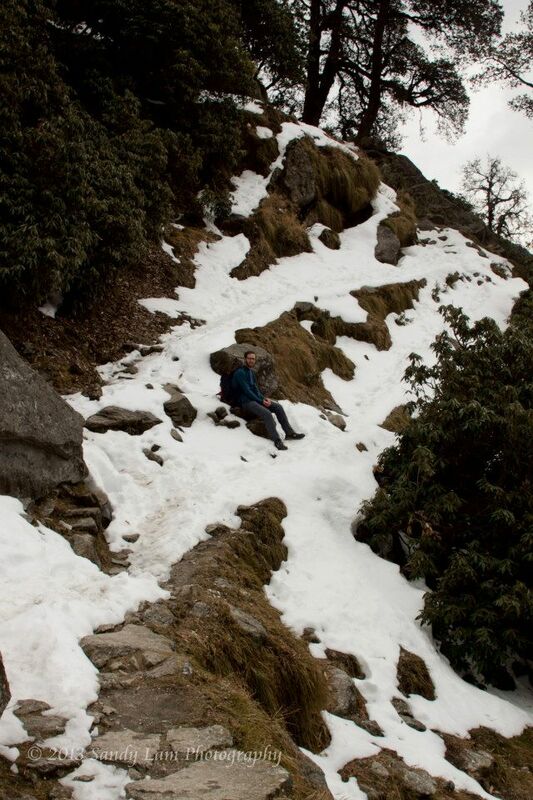 We passed a few people on the trail, but when we were up at the top it was just the three of us and the chai shop owners (who were too busy building snowmen and trying to knock them down with snowballs). Not the best weather, but a beautiful trek nonetheless. We made it back to town around 3 or 3:30…indulged in some AMAZING Indian food, and proceeded to veg out at the local cinema that evening. It was a good day. Did you happen to visit the place in february? i am planning to do the trek around then…what would you suggest.. Yes I was there in February. There was snow at the top. The weather is hit and miss. Some days it’s beautiful, other days the clouds cover the top. The weather changes really quickly up there so it’s hard to plan that far ahead. I would give yourself some time there just in case the weather doesn’t work out the first few days.